Happy Friday! 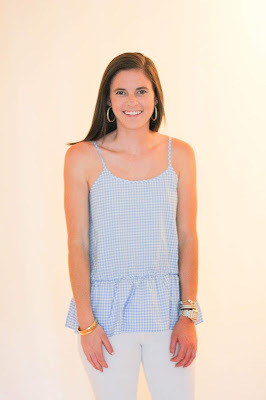 Today is an especially happy Friday not only because it is my last Friday teaching of the school year but also because today is Lauren James’ Pink Fridaysale. 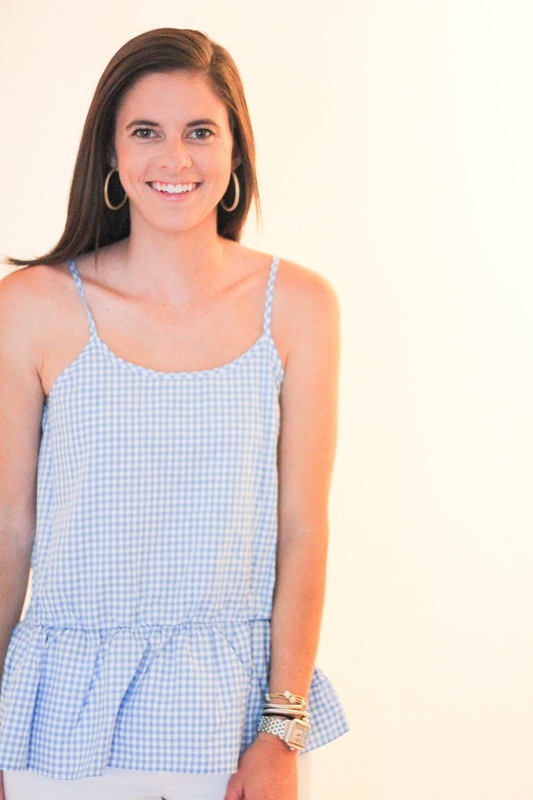 If you’re unfamiliar with the brand, Lauren James sells t-shirts, clothing, and accessories with classic and modern styling that strive to capture a look that’s unique yet timeless. Over the years, my collection of clothing pieces by Lauren James has grown. 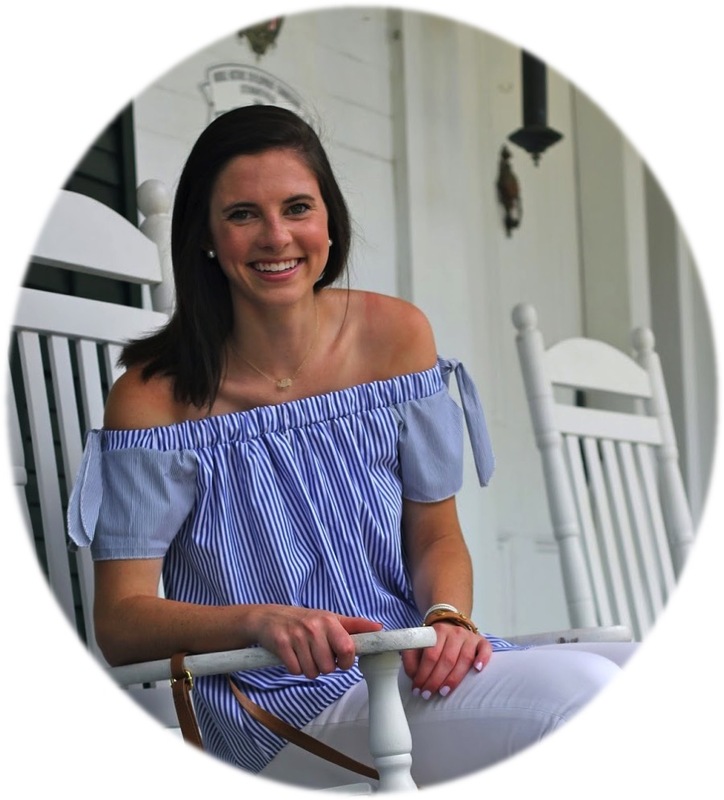 Today I am excited to be sharing three different looks with y’all that feature three of the pieces that are available in Lauren James’ Pink Friday sale. The first piece I picked out to share with y’all that is on sale may just be the most “Dorothy” piece there is. All I’m lacking are braids and ruby red slippers but I hope you’ll forgive me for leaving those out of this post. 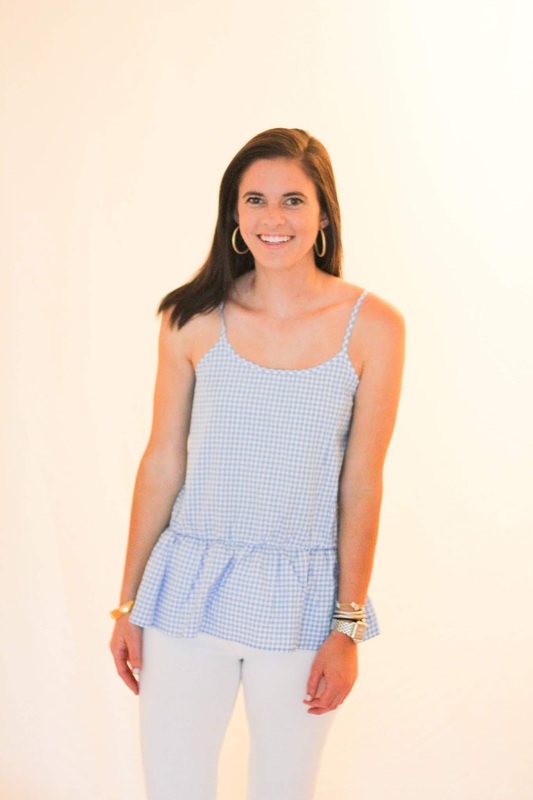 This Sophie Peplum Top in Delta Blue is the perfect lightweight piece to throw on during the summer. I paired it with white jeans, wedges, and hoops to dress things up a bit, but it would be equally as cute with white shorts or jeans shorts to be a bit more casual. The second piece I picked out that I know I’ll be wearing nonstop from now until the fall is the Reagan Ruffle Top in White. 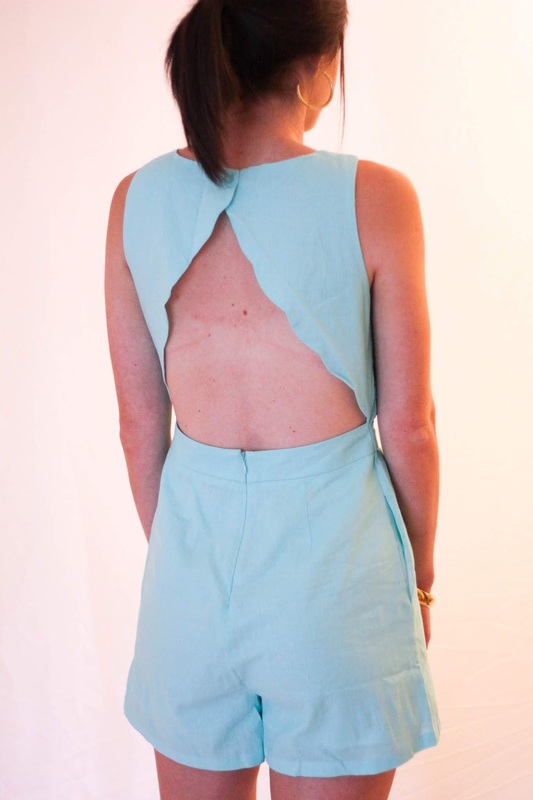 This one shoulder top is made of an eyelet material and is fully lined. With some fun colored pants and a pair of sandals this could easily be worn during the day and then dressed up at night. As with any good white blouse, I love throwing this on with jean shorts for baseball games and barbecues all summer long. 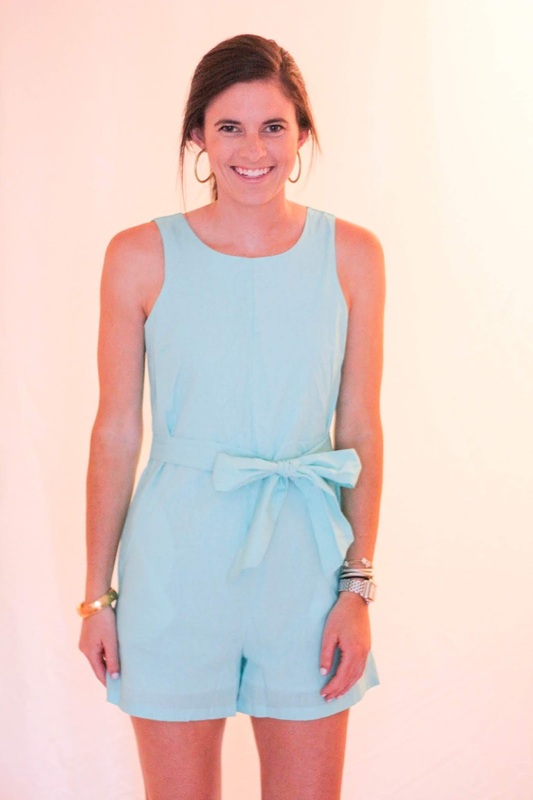 The last piece I picked was the Rowan Romper in Ocean Palm. I am always drawn to a good romper due to the ease of grabbing one piece and looking completely put together without feeling as dressy as you may in a dress. 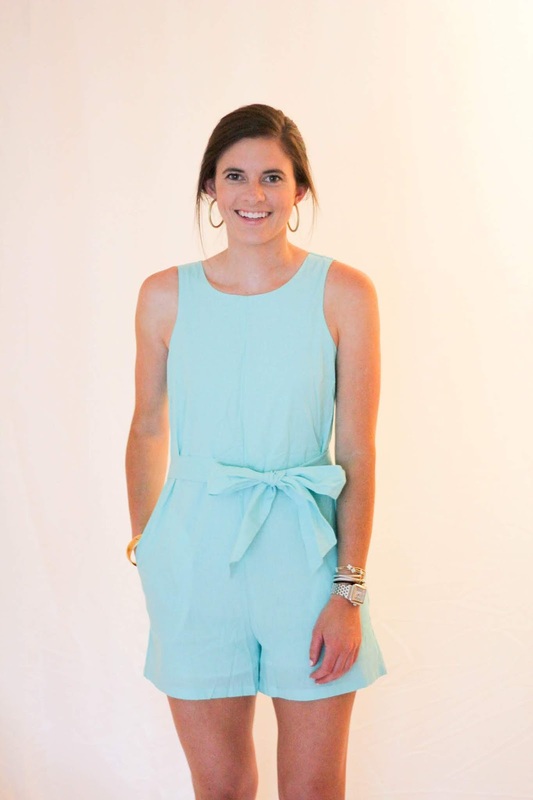 The open, scallop back of this romper and bright color would perfectly showcase a summer tan and should definitely accompany you on your next beach vacation. The Pink Friday sale starts today and runs through Sunday, the third so if you’re interested in snagging something you need to start shopping soon. 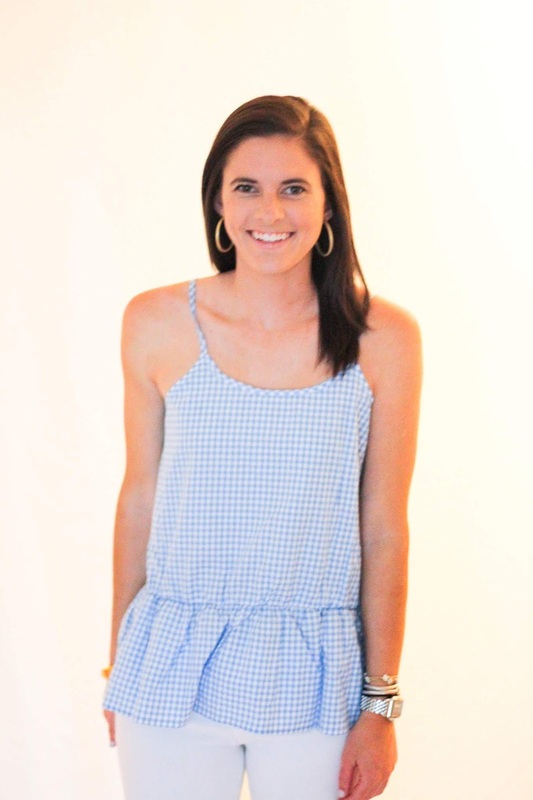 In case the pieces I picked out aren’t your taste or what you are looking for I’ve shared some other favorite Lauren James items that are included in the sale below. Is it the last Friday of the school year already? Wow, time really flies! Love these picks, I can't wait to check out the sale! All the picks are cute! !